The Centre had submitted before the Supreme Court, in a sealed envelope, a list of certain high court judges appointed by an earlier collegium of Apex Court Judges in spite of adverse reports from the Intelligence Bureau and opposition from the Government. The names were submitted by the Centre after Attorney General Mukul Rohatgi was specifically asked by the Court on Wednesday to give a list of "bad appointments of judges" made under the collegium system. Attorney-general Mukul Rohatgi, defending the National Judicial Appointments Commission (NJAC) before a five-judge constitution bench, also questioned appointment of at least three other judges - two in the Supreme Court and one in Calcutta High Court. All the three judges have since retired. He claimed that when the collegium insisted on such recommendations, the Centre was bound to accept them. "The collegium did not follow the principle of meritocracy in appointing judges and hence, many undeserving persons got appointed as judges," Rohatgi told a five-judge bench headed by Justice J S Khehar hearing petitions challenging the validity of the National Judicial Appointments Commission (NJAC) Act. The bench is hearing petitions challenging the basis of the NJAC, which has been cleared by Parliament to replace the collegium system that used to appoint judges to the Supreme Court and high courts. The bench also comprising of J. Chelameswar, Madan Lokur, Kurian Joseph and A.K. Goel, however, brushed aside Rohatgi's submission, saying the said adverse reports submitted by the Intelligence Bureau did not contain any concrete material to stall the appointments. "The IB had not come up with anything concrete about the subjective comments made by those making the objections. There is nothing concrete in the material. You can't say this is the allegation and hence the integrity of the person is questionable. "The IB should verify, find out. What is the IB doing?" Justice Khehar said. However, Justice Khehar admitted that some appointments had to be made by the collegium "perforce". The names of the six judges were placed by the attorney-general in a sealed cover, which, after a few minutes, was returned to him by the bench. 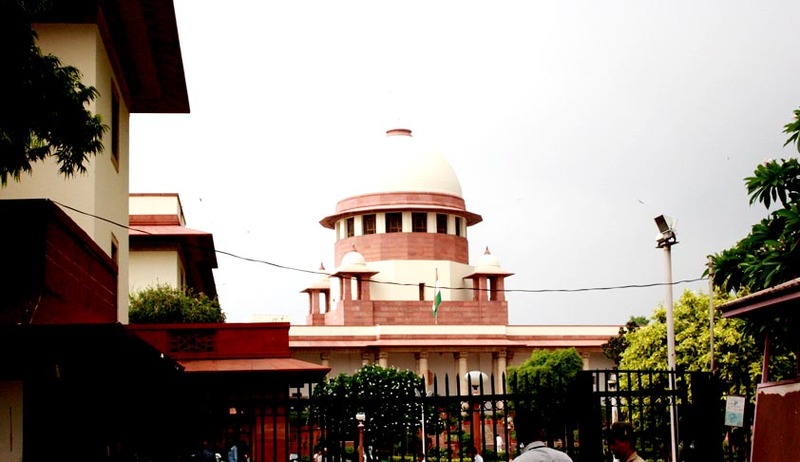 The court said it was not examining relative merits of the NJAC or the collegium but only concerned with the constitutional validity of the new body. The attorney-general said that at least in two instances, the court had overlooked adverse IB reports about alleged hobnobbing with politicians and grant of bail for extraneous considerations. Rohatgi also raised the issue of seniority being considered over efficiency while promoting a judge and said, "a judge who did not dispose of three figure cases became the Chief Justice of different High Courts and judge of the Supreme Court". "Mistakes will be there, whether this system or that system. But the question is how serious are they," the bench said. During the hearing, Rohatgi also went on to say that "a bad judge should not be allowed to come as one bad fish spoiling the whole (system). One bad egg does the same." Defending the National Judicial Appointment Commission (NJAC), Rohatgi referred to the concept of separation of powers between different organs of state. "Most significantly, it envisages an independent judiciary existing within a system of checks and balances between various branches pervading the entire constitutional scheme. "Thus when the validity of the 99th Amendment against the basic structure is to be assessed it must be in the light of various facets of the basic structure and not merely against an absolutist conception of judicial independence as has been contended by the petitioners. "In addition to the independence of judiciary and separation of powers, democracy has also been held to be one of the basic features of the Constitution," he said. He said independence of the judiciary forms part of the basic structure and is an essential feature of the Constitution." "It is thus submitted that multiple features and aspects of the Constitution are relevant in understanding how the independence of the judiciary is sought to be protected in India. It is not limited to the method of appointment of judges alone," he said. Independence of judiciary, whether functional independence for judges or institutional independence of the judiciary, is located in a number of features not limited to appointment alone, he said. He further said that the separation of powers and checks and balances also form part of the doctrine of Basic structures and no organs of state can enjoy absolute freedom. "The importance of the judiciary retaining public confidence, especially in the manner in which appointments to the higher judiciary are carried out thus must be seen both in the context of independence of the judiciary as also the need for checks and balances on it," he said. The new law makes an attempt to ensure plurality in the appointment process by requiring presence of the CJI, two senior-most judges of the Supreme Court, Law Minister and two eminent persons on the NJAC. "Such a diverse composition would ensure plurality, which is intended to act as a check against arbitrary decision-making, while maintaining judicial independence," the AG said. Rohatgi also referred to judges' appointment procedures adopted in 15 democracies in the world and said, "it is submitted that with the exception of Italy to a limited extent, in none of the countries surveyed does the judiciary enjoy any primacy in the matter of appointments. "Even in Italy, the chairperson of the CSM (appointments commission) is the President, who ultimately appoints judges. In no country is participation of the executive per se or even its dominant participation, opposed or frowned upon. Such lack of judicial primacy is not seen as detracting from the existence of an independent judiciary in any other countries." He also gave the procedures adopted in countries like Kenya, Pakistan, South Africa and UK and Israel. Rohatgi also referred to the appointment of judges in Patna and Madhya Pradesh where appointments were made despite reservations from the Executive. "There is a recent case of Madhya Pradesh. Five names were proposed in April, 2014. The collegium rejected two names due to intra-family division and due to adverse IB report. And later, it recommended one against whom an adverse IB report was there," he said. Senior counsel K.K. Venugopal, appearing for Madhya Pradesh, told the bench that a judge of Madras High Court went to the extent of staying the selection of district judges by a committee of high court judges and threatening contempt action against the chief justice for withdrawing the case from his court. The attorney-general quickly jumped in and told the court that "this judge earlier went to the chambers of previous chief justices and used abusive language against them. Nothing was done for the last one and half years although the two chief justices had written letters for his transfer. "Nothing has been done.... He could have been transferred. If the power is with judiciary, it should have put its house in order," the attorney-general said. However, Justice Joseph said: "Why should another high court suffer him?" When Justice Khehar said "no one can say how a judge will behave after appointment", Rohatgi said two former Supreme Court judges were known to be habitual latecomers. Referring to one judge, Rohatgi asked: "When her track record in two high courts was the same, how could she be elevated to the apex court by the collegium?" In the third instance, he pointed out that a former Chief Justice of India, on the eve of his retirement, requested the chief justice of a high court to recommend his sister for elevation as judge, despite the collegium earlier overruling her name.